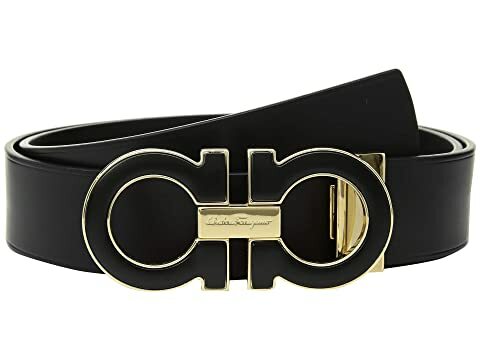 Tie together your style perfectly with the Salvatore Ferragamo® Adjustable Casual Double Gancini Belt. Smooth black hardware with golden trim engraved with brand name logo. Adjustable double Gancio belt buckle design. Belt can also be cut to size for desired fit. We can't currently find any similar items for the Adjustable Casual Double Gancini by Salvatore Ferragamo. Sorry!